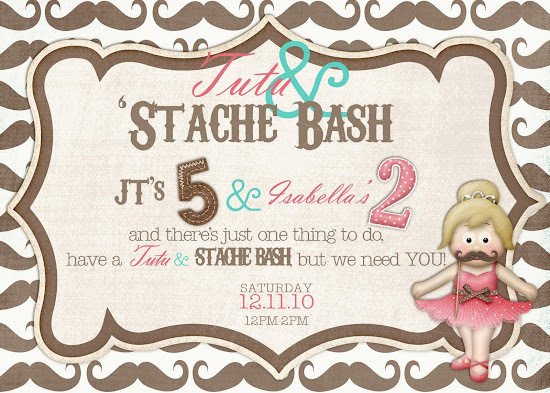 Funky Polkadot Giraffe: The Tutu & 'Stache Bash!!!!! The Tutu & 'Stache Bash!!!!! 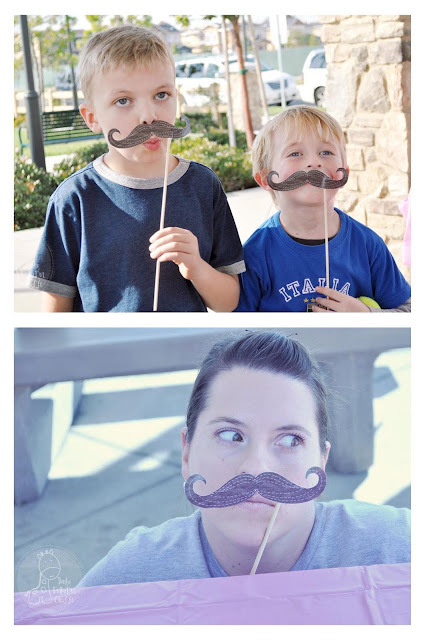 and it was SO much fun to put together! 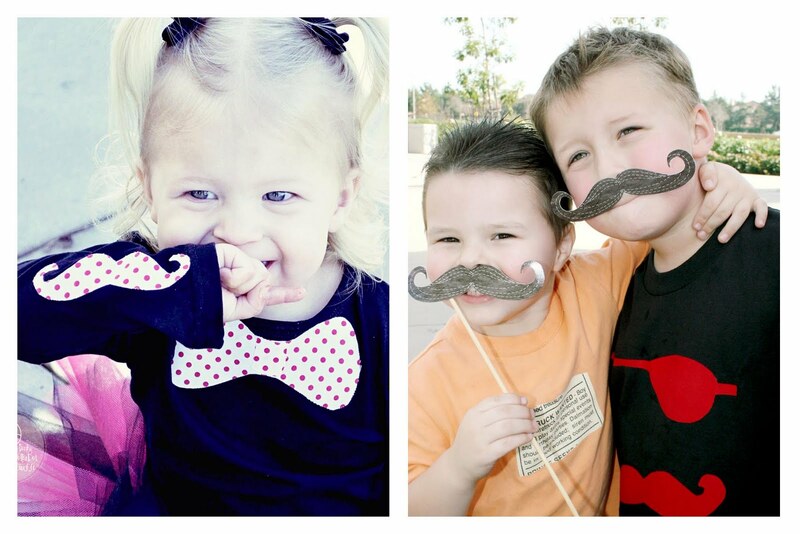 The Birthday Kids in their 'stache and tutu attire! There were tutus and 'staches for the guests! 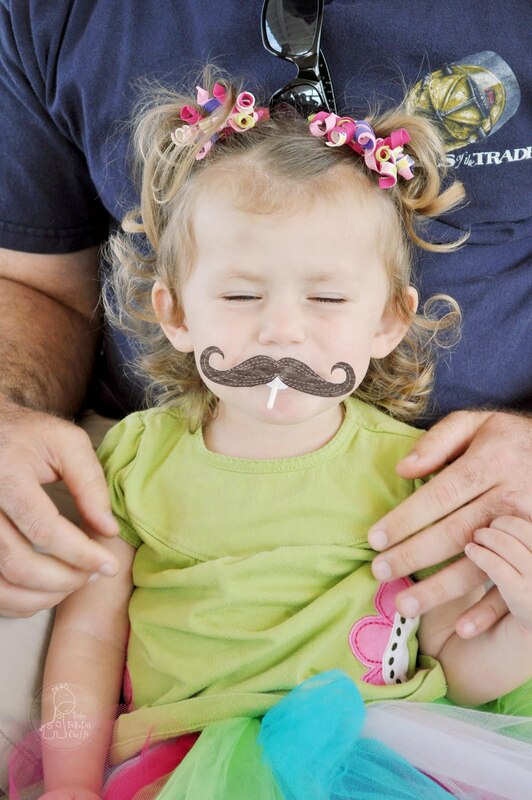 We even played "Pin the Mustache on JT" . . .
. . . and lips on Isabella. 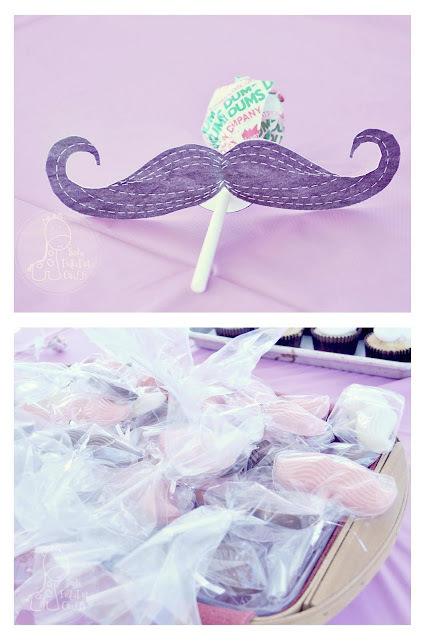 There were 'stache cookies and of course . . . presents! The kids had a great time and it was a blast! and was inspired by lots of different ideas around blogland. You can find the digital scrapbook supplies for the invites and favors at Sweet Shoppe Designs. 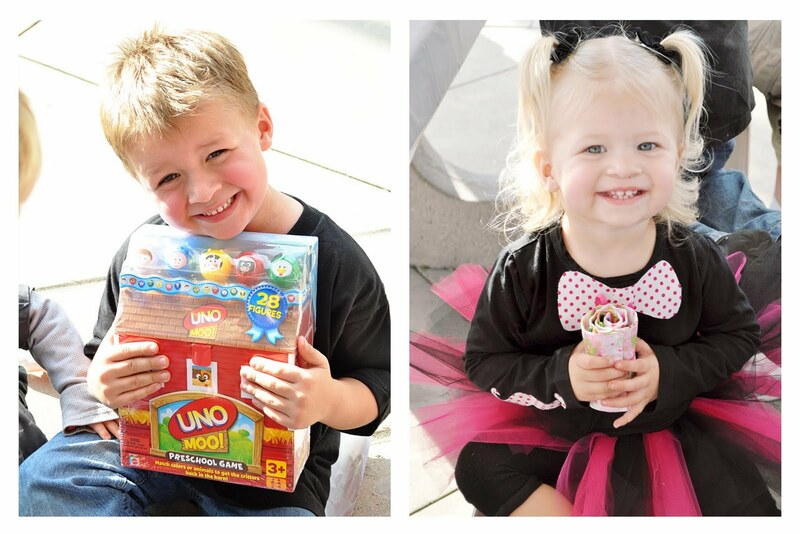 but you can find the shirts that inspired them at Darling Deuce and oh fiddlesticks. My awesome friend Jaime made all the tutus! I got the chocolate mold and cookie cutter at Classic Cake. 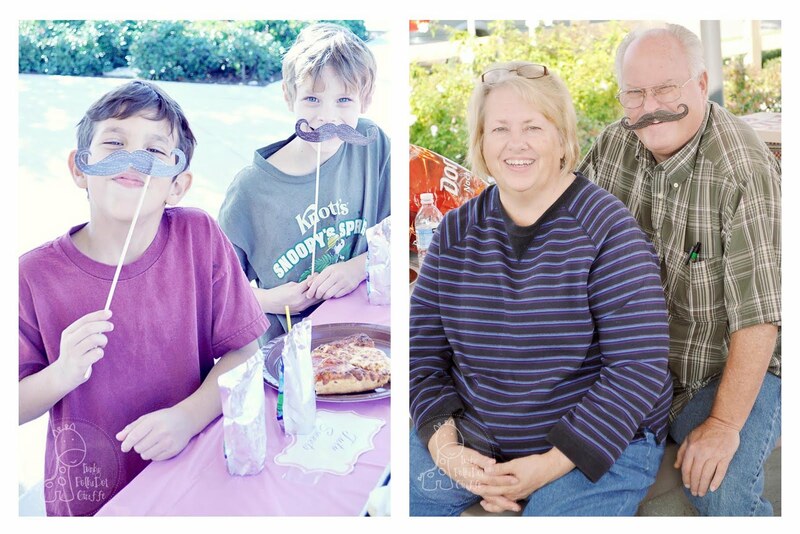 I printed their giant faces at Costco. 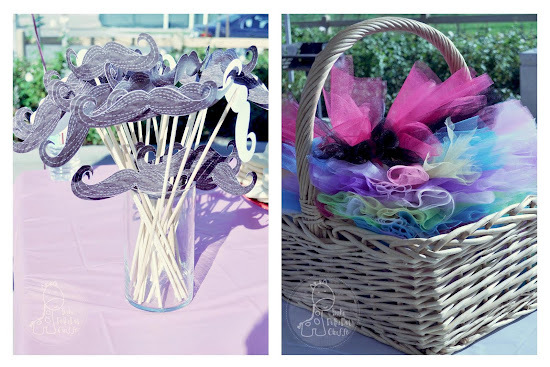 The paper goods and balloons came from Party City & the 99 Cent Only Store. 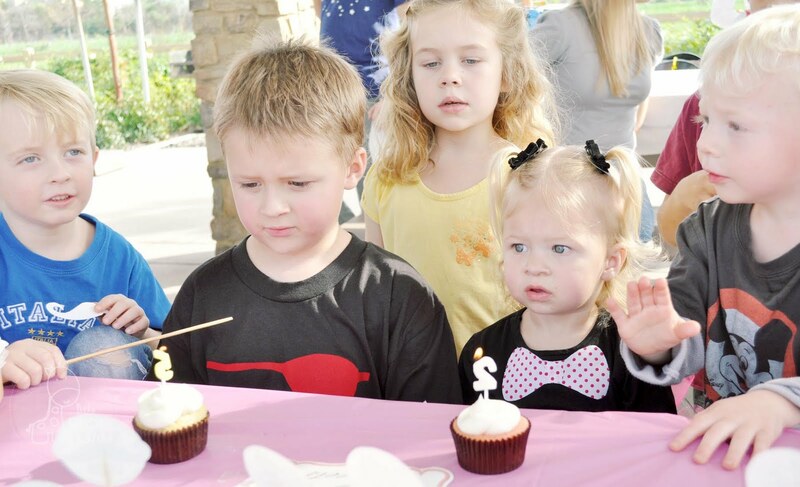 i think this is my favorite birthday party that i have seen!!! this is just so cute!! What a GREAT birthday party idea!!! I love it! 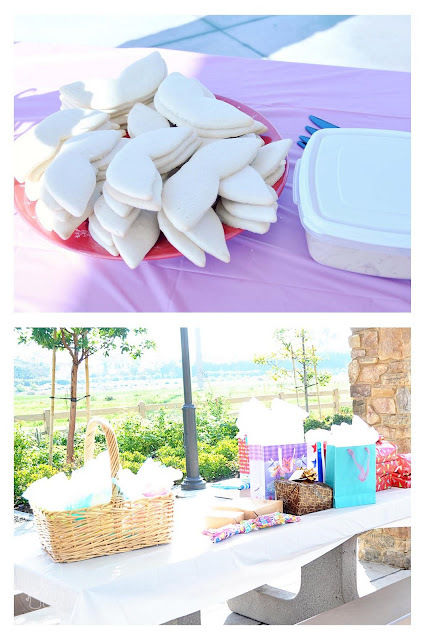 The best boy/girl party I've seen yet. 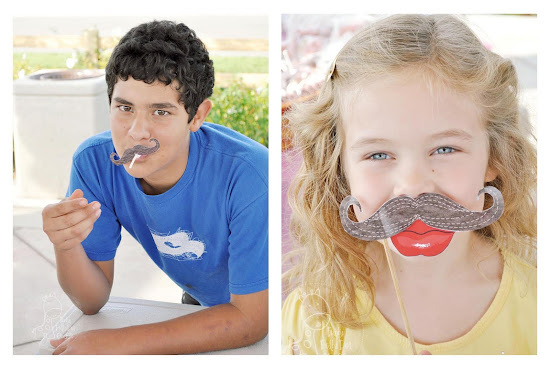 Was the 'stache shirt for your little firl easy to make? I want to make a few but I don't know where to begin. I love this! You did an amazing job...the details are perfect! 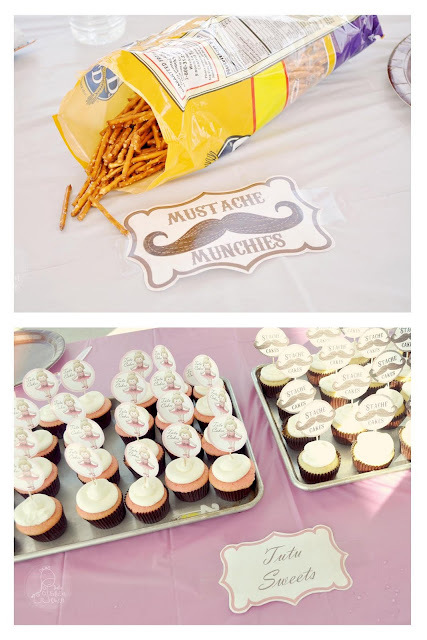 What a great idea for their party! Too cute! GENIUS! Love everything... great job and how fun for the family. Hope you share on Thurs at A Crafty Soiree. It looks FABULOUS!! How fun! You are such a talented and creative mommy!!! A.M.A.Z.I.N.G. Seriously. You are are a champion. I loved all of it!!! So much fun. That was a ton of fun work. Loved it ALL. How adorable. Such a great theme. ADORABLE!!! oh my gosh, Im just dying over it! the suckers are hysterical. Im visiting from the Sundae Scoop at I heart Naptime. Adorable! How did I miss this post? O WOW!!! This si soooo awesome!!! 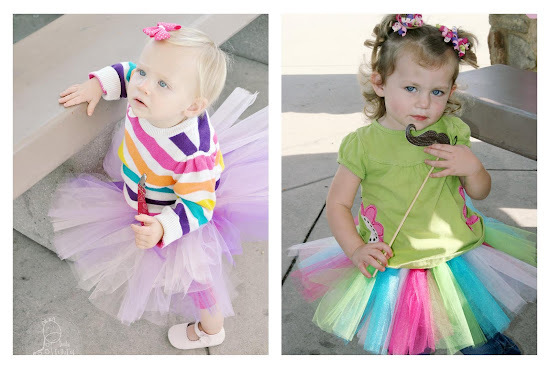 I make bow, tutus, appliques shirts, and so on, I always have a hard time soming up with boy stuff and this is soooo fun!!!! Way to go with this party, you are a ROCKSTAR MOMMY!!!!! This is SUCH a clever and cute idea!!! Thanks so much for sharing it with me!!! 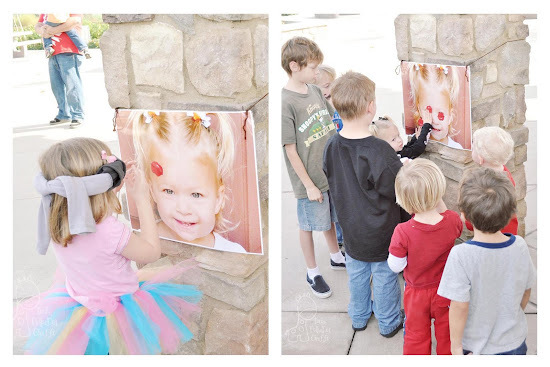 your kids are DARLING! Super cute party. Love it! 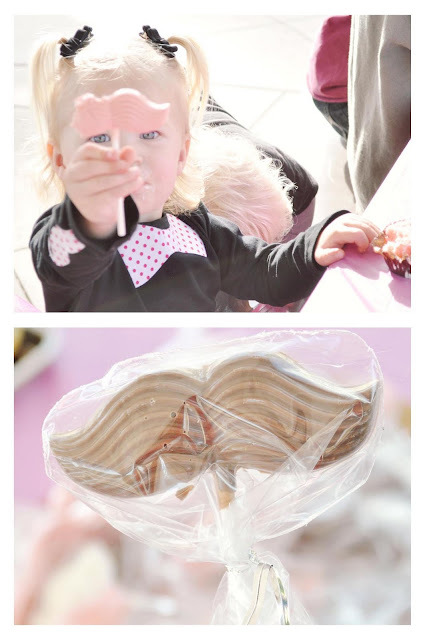 Love this... such a darling idea! I also linked up with CWTS! Oh my goodness!! 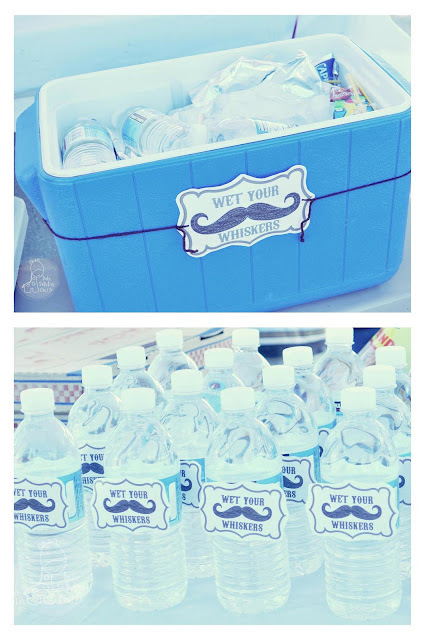 What a DARLING idea!! 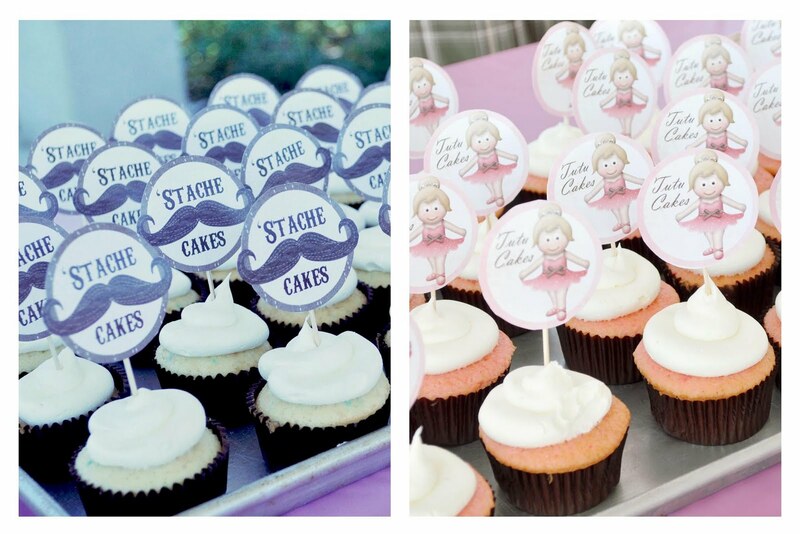 I love that you did mustaches and tutu's!! Awwww, you are so stinkin' cute!!! What a FUN party! I love the "pin the mustache" game. So many creative ideas! Thanks for linking up at Serving Pink Lemonade! i'm looking into doing this party. please let me know how you did your invites. This is just too cute! 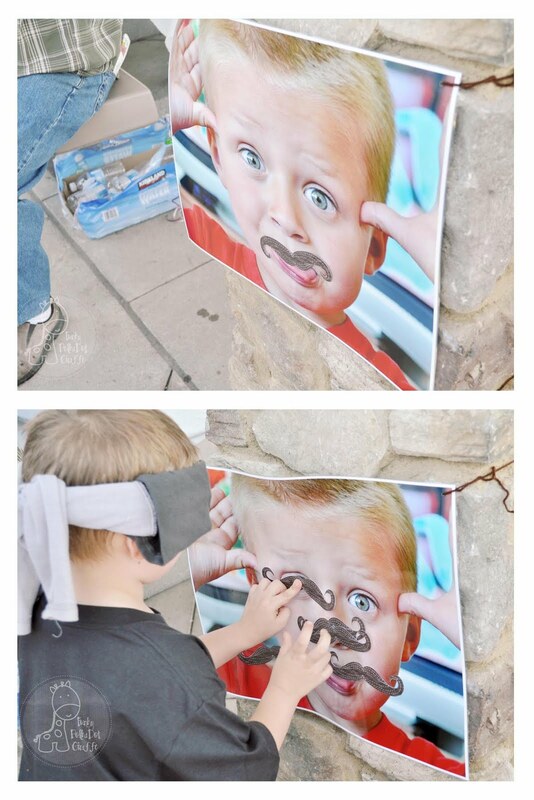 This is such a great idea. I would also like to know how ou did your invites. Thanks!